If you guys remember, I won a L'oreal goody bag a while ago and in it were four of the infallible eyeshadows. I've never tried these before so it was nice to try something new. L'oreal describes them to be velvety soft, have a hold of up to 24 hours and have ultra intense colour. I made little collages below with swatches and used them very simply (literally just slapped on!) on their own, on my sister (I had to force her! ), otherwise there would've been a million photos. So, these come in little pots which I quite like as its very easy to use and store away. Once you open it it has this 'conserver' which you put on top. I have no idea why. These eyeshadows are very soft and creamy as well as being multi tonal. They have a cream to powder finish, which I really liked because that means there is very little fallout because at first they look like a product that would have a lot of fallout. I found the best way to apply these and to get a good result is by using a flat eyeshadow brush or your fingers and then if you like you can use a blending brush to blend out the edges. I found no creasing or any build up in the eyelids but the one thing that I didn't like was that sometimes the eyeshadow would gather up in particular places. Do you know what I mean? This made it look like as if it wasn't applied evenly. But it only happened sometimes. I'd say they last for about 6 hours, probably more with a primer but I haven't used them with a primer. This first one is Sahara treasure, which is my favorite one out of the four. 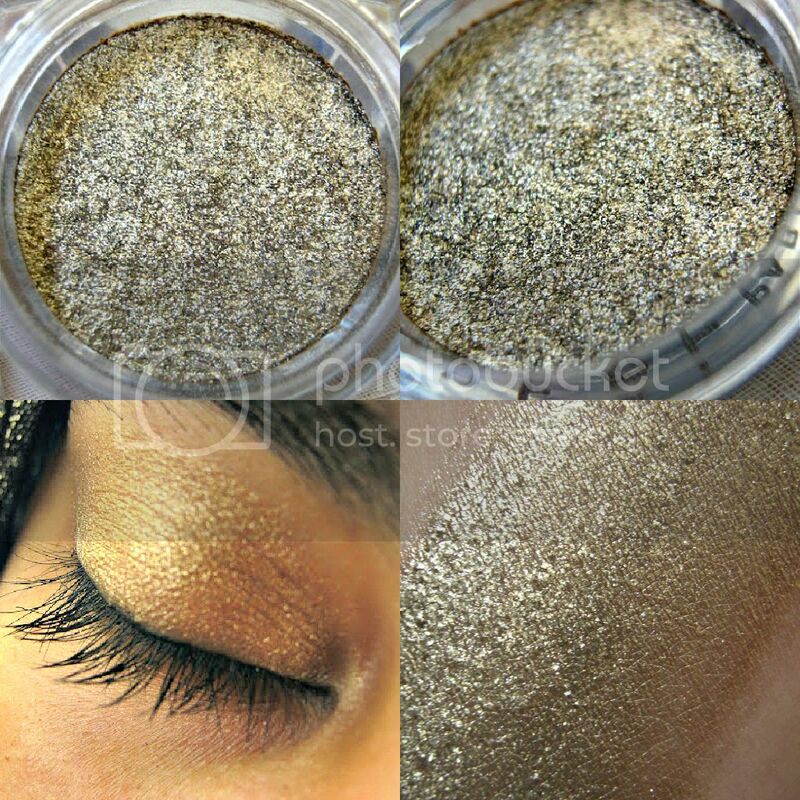 This is such a gorgeous gold toned eyeshadow that also has a touch of bronze in it and looks somewhat taupe as well. I think this is a colour that will suit alot of skin tones and is a really natural all over lid colour. I've been wearing this since the day I got it, on my lids, as a crease and under my lower lash line which looks amazing! I've gotten so many compliments over this eyeshadow. 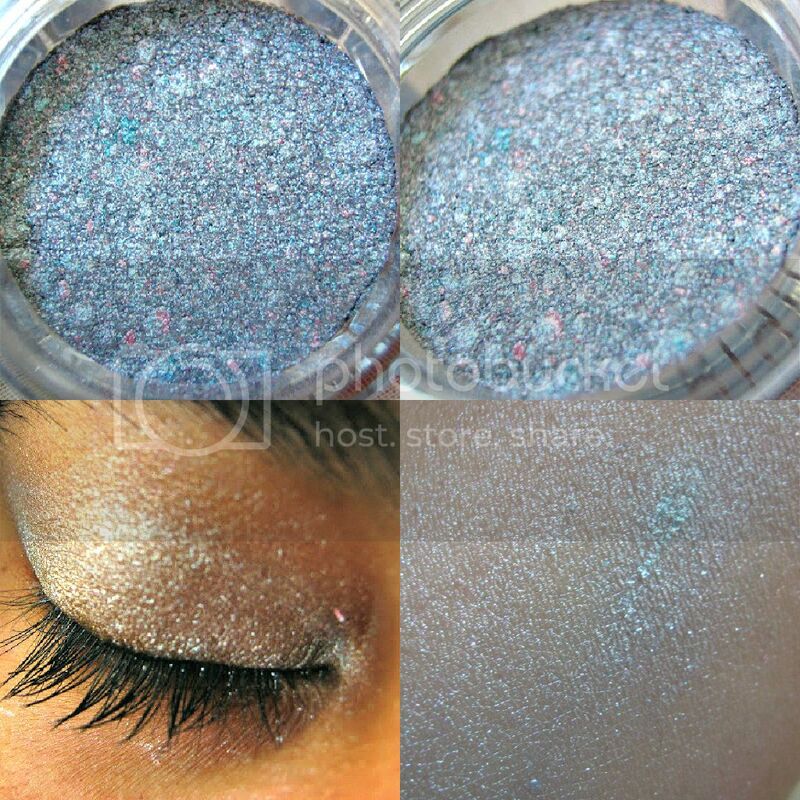 This colour is very pigmented as well and also blends very easily. You have to check this one out! This next one is in innocent turquoise, which is a very cool toned blue. When applied it looks more to the sliver side mostly because of the sliver glitter particles in it and I found this one to be quite sheer as well. At first I was a bit unsure about it because I never go for shades like this but it's actually very nice. 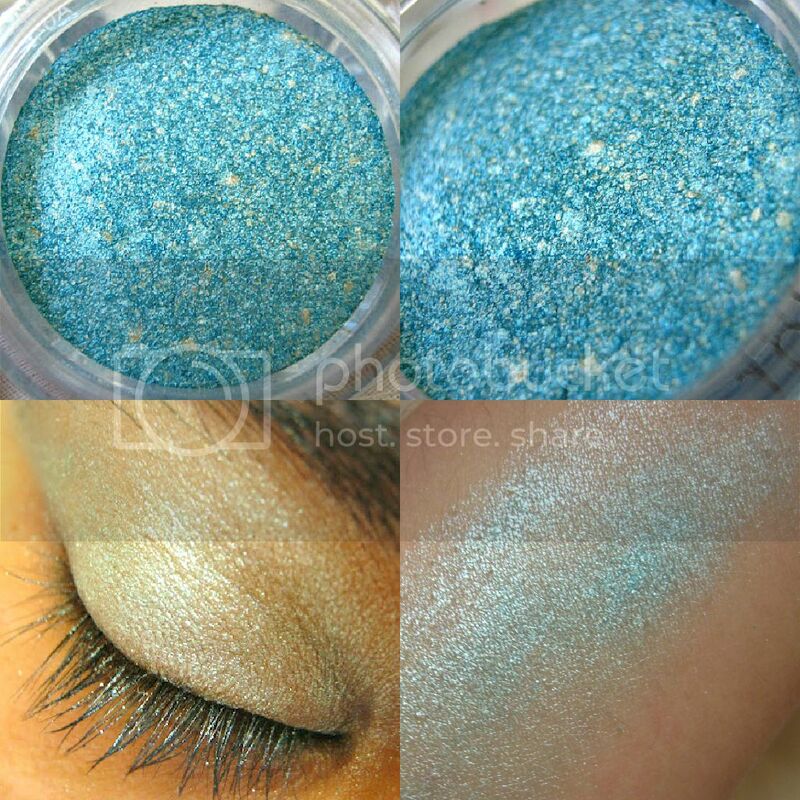 Its very luminous and adds light to your eyes. I did note quite a bit of fall out in this as you can see in the images, on the eyelashes. I think it'll look amazing paired with a dark turquoise colour. Naughty Strawberry is a pink that had gold specks in it. It's a very soft and sweet pink colour so it's not scary to apply. Paired with some purples maybe, this colour would really look great. The gold specks add alot of shine and some sheen to the finish of it as well. I would describe Sassy Marshmallow as a silvery grey. This is my least favorite because as its not as pigmented as the other and isn't as smooth either. But it might just appeal to you. This also has flecks of pink and blue in it. Have you tried any L'oreal infallible eyeshadows? Sahara treasure looks wonderful. 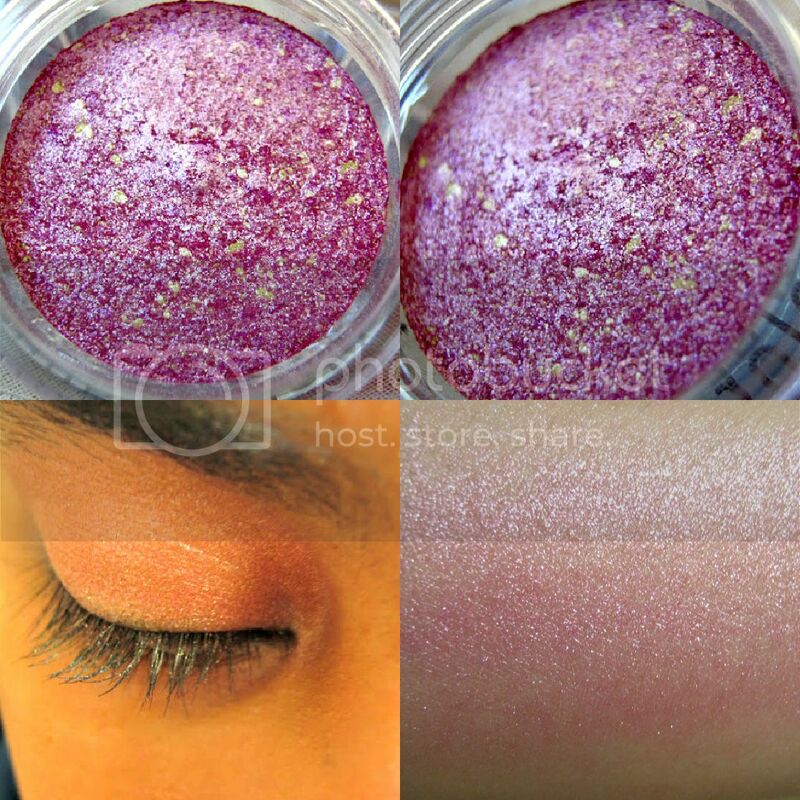 I like your idea for showing how it looks on the lid as well as a regular swatch. :) thanks! I love the first one! I have to get that when it's payday for me. seems like fun shades. Loved ur review. Ahhhh i love all 4 :) Thanks for sharing hun! Salon Treasure looks AMAZING on!! Have you tried it for a night out? Did it have staying power? Wooooow sahara treasure looks amazing!! Great post! Very clear and you took good photos! Too bad that it only lasts 6 hours while they claim it would last 24! I never tried the, nefore, but i've been considering it. That sahara treasure really looks nice!! I might take a look into that one!